As mysterious as the infamous island itself, details on Kong: Skull Island remain elusive. 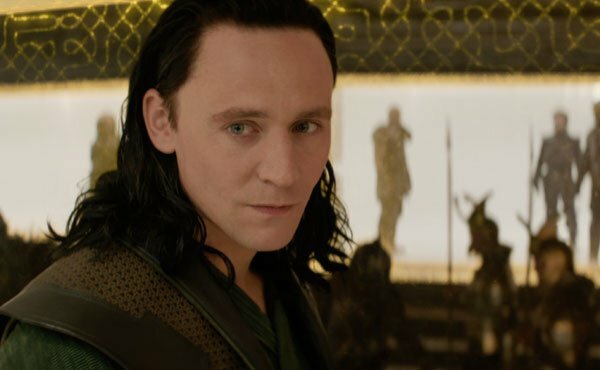 We know that Tom Hiddleston was the first actor to sign on for a lead role in the film from director Jordan-Vogt Roberts, and the film — much as the title suggests — will traverse the fantastical landscape that is King Kong’s island home. Now, Hiddleston has come out to reveal the first details on who he’s playing the film. I’ve been digging around in some dark material, to be honest. There’s something very heroic about my character in Skull Island. He’s an adventurer, he’s an explorer. I mean, it’s a King Kong film. There we go. The latest feature film on this material was Peter Jackon’s King Kong, which itself was a remake of the black-and-white film from 1933. In it, Jack Black portrayed a filmmaker looking for an exotic location to stage his next picture, only to stumble upon a monstrous discovery. Though we already know this movie will be a prequel of sorts to the original tale, Hiddleston’s details further confirm that Roberts is cooking up a new take. The actor went into even more detail on that aspect, saying that there’s "a particular context" for the story that hasn't been seen on screen before. Whether that means we will be seeing our gorilla overlord in this film is up for debate, but Hiddleston further teased that Roberts has "brilliant ideas" about exploring Kong as an "emblem of the power of nature." Does that sound familiar? How about Gareth Edwards’ Godzilla, in which the characters describe the beast as mother nature’s way of setting everything straight? It was recently revealed that Legendary is partnering up with Warner Bros. on Kong: Skull Island with the hopes of teaming up/pitting against its beast with the monster of legend. Might there be even more ties to a potential standoff than we originally realized, given this early development? Tom Hiddleston is joined in Skull Island by Brie Larson (Room, Short Term 12). Hiddleston also confirmed Corey Hawkins and Jason Mitchell for the film; the former played a young Dr. Dre and the latter played a young Eazy-E in Straight Outta Compton. Hiddleston called them all "amazing actors" and reiterated his excitement to working with them on this new venture. Elsewhere, Toby Kebbell of Fantastic Four and Russell Crowe of Man of Steel are reportedly joining, as well. J.K. Simmons, who was originally attached to the film but (along with Michael Keaton) dropped out, said that the story takes place in 1971 around the Detroit area. Will it still? Kong: Skull Island will hit theaters on March 10, 2017.